This is a fascinating and rare account that gives some indication of the character of the author. It is evocative and compelling. An important work. DESCRIPTION: The author is perhaps best known for the many books he has written on game hunting in Africa. The style is therefore polished and experienced, but the content is a personal memoir of one of the great battles of WWI. For those coming into study of WWI, a potentially confusing aspect is the number of battles fought under the same name, distinguished only by the year appended. 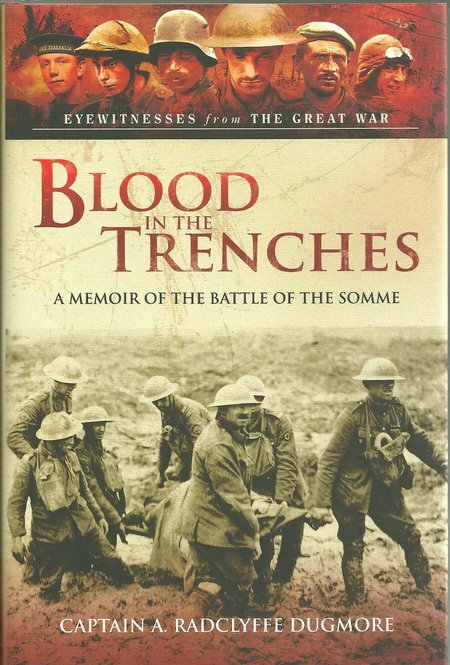 This book recounts the unusual personal perspectives of a man who was over-age in 1914 and first went to France as a civilian observer, wounded and captured, before returning in uniform to fight through the great battle. This unique book provides many valuable insights and is a must for anyone interested in expanding their knowledge of a terrible conflict. The author was originally published in 1918, under the title ‘When The Somme Ran Red’. This book has been out of print for a considerable time and the publishers are commended for producing this fine reprint. This is primary material and is a story told in fine style. The only disappointment is the lack of illustration, but that would have altered the original presentation from a time when words alone were employed to illustrate scenes beyond the imagining of people who were not there. The words certainly make up for the lack of illustration common to more recent works.